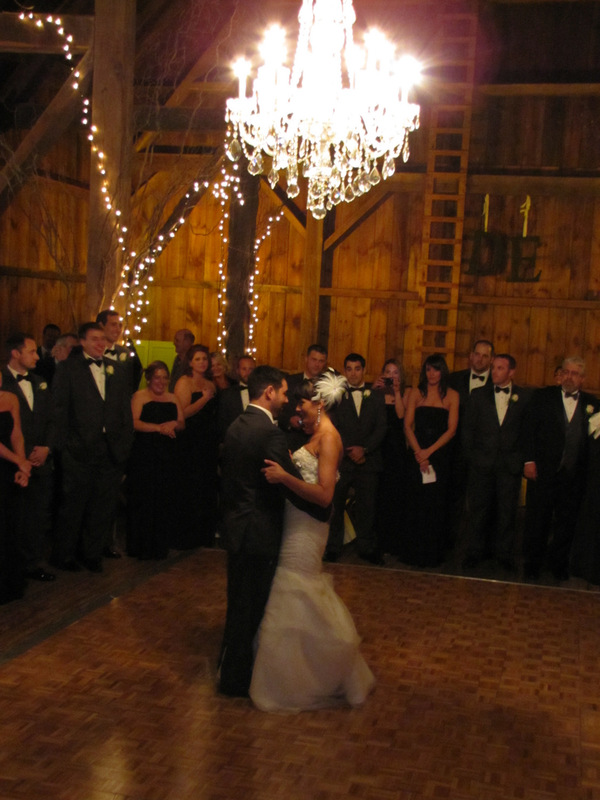 We recently went to a wedding in Northeastern PA. 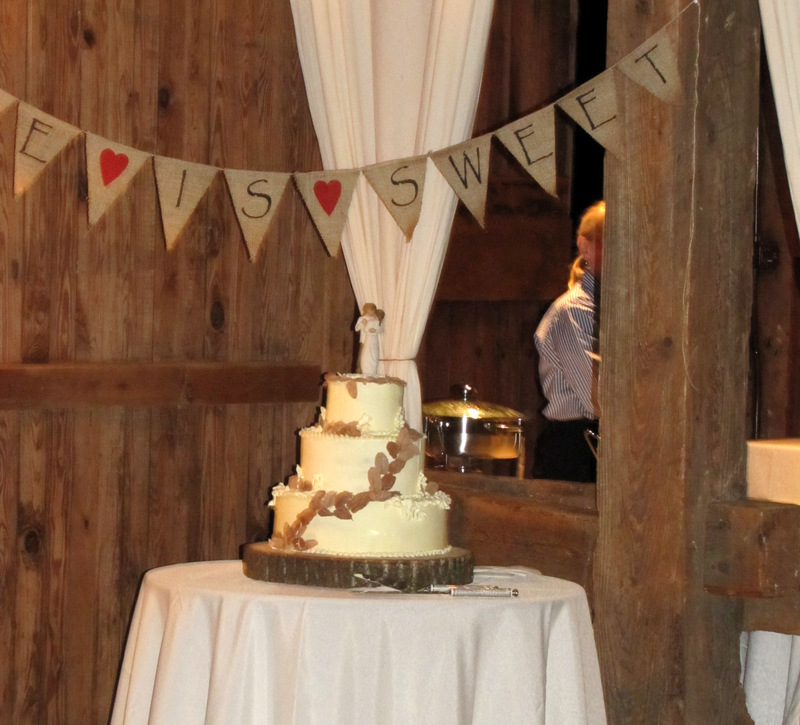 It was the cutest reception! It took place at Friedman Farms. 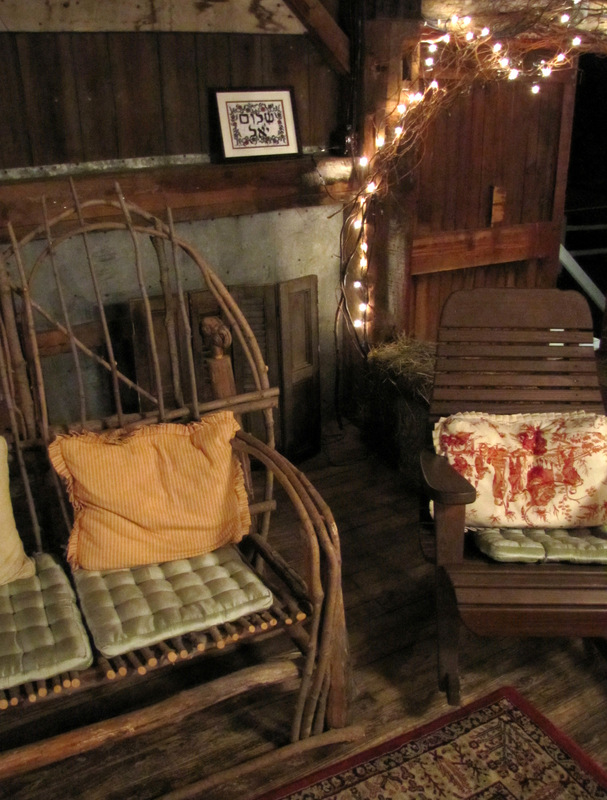 The bride added fabulous rustic touches to every area of the barn. 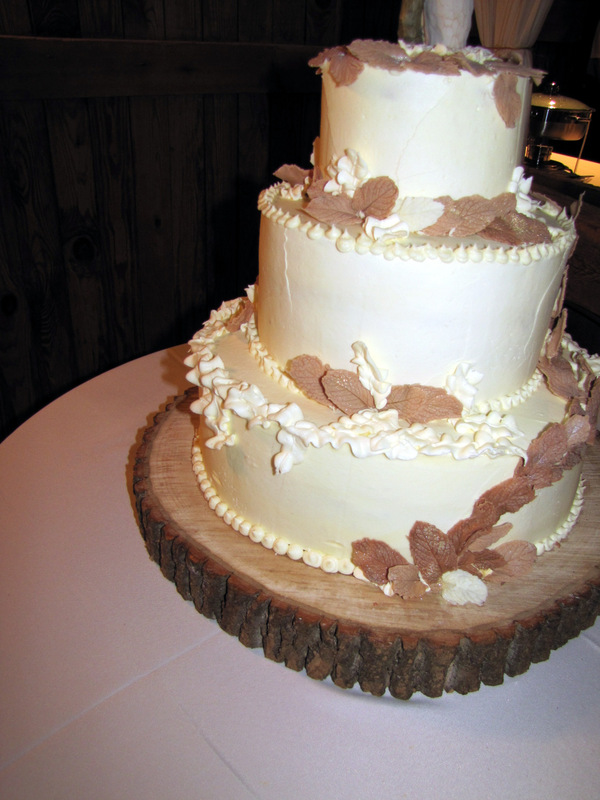 The groom made the wood tree stump tray the cake was placed on. 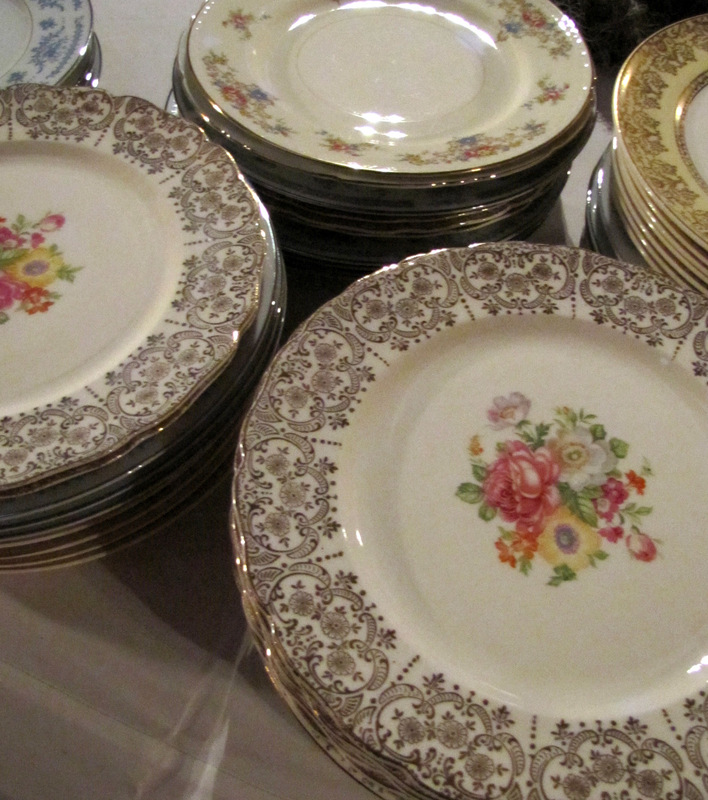 And the barn supplied a variety of patterned china for the food to be served on. 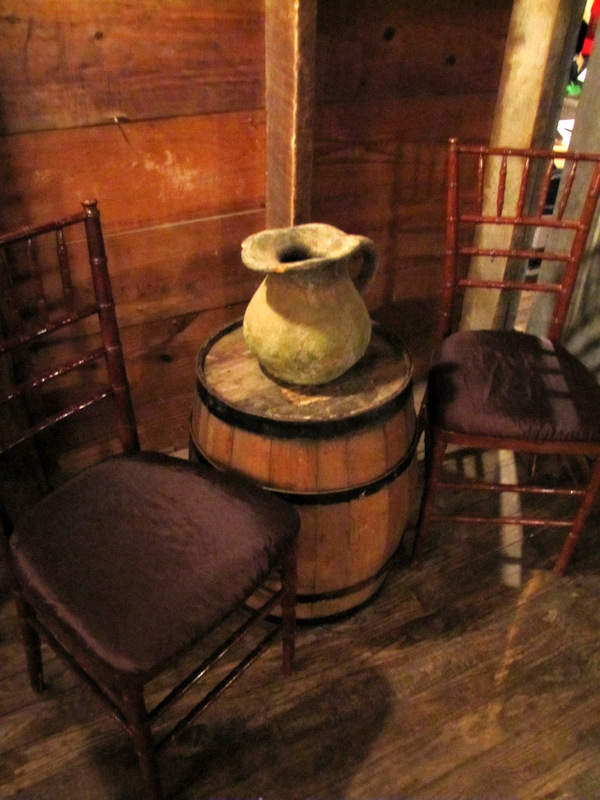 There were cute little nooks and crannys everywhere you looked. 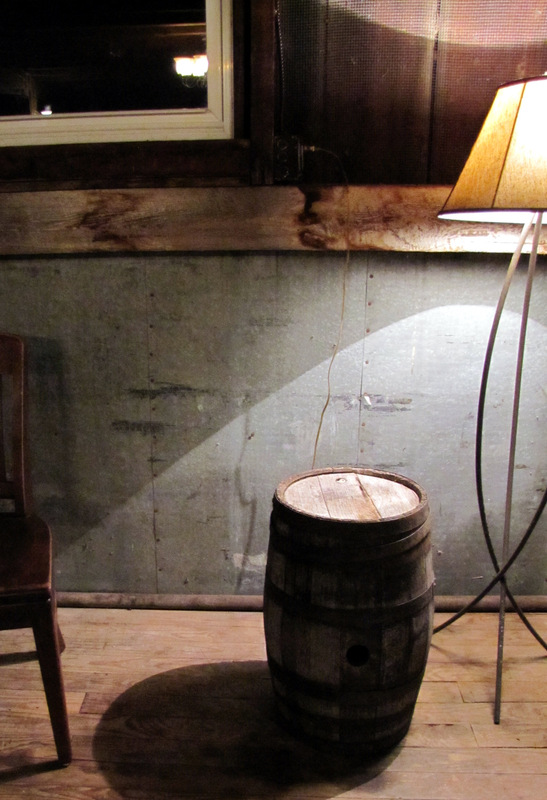 Like this little seating area in the cocktail reception area. 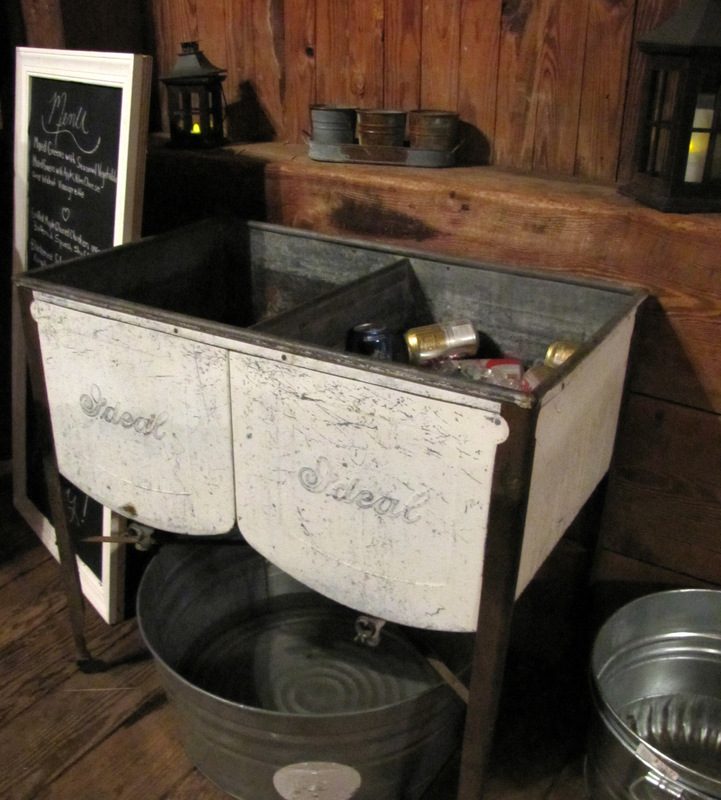 I loved this galvanized metal wainscoting. 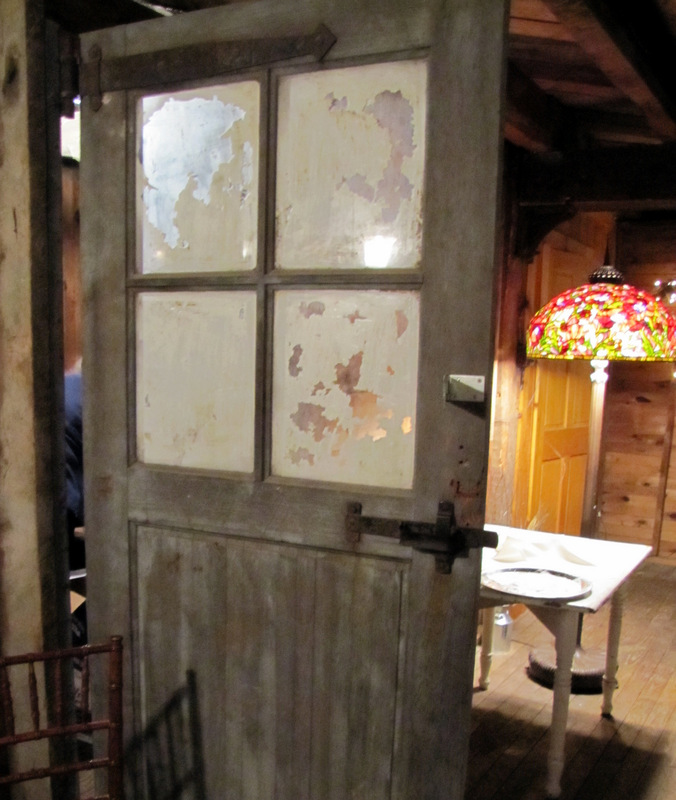 Even the doors were aged and rustic. 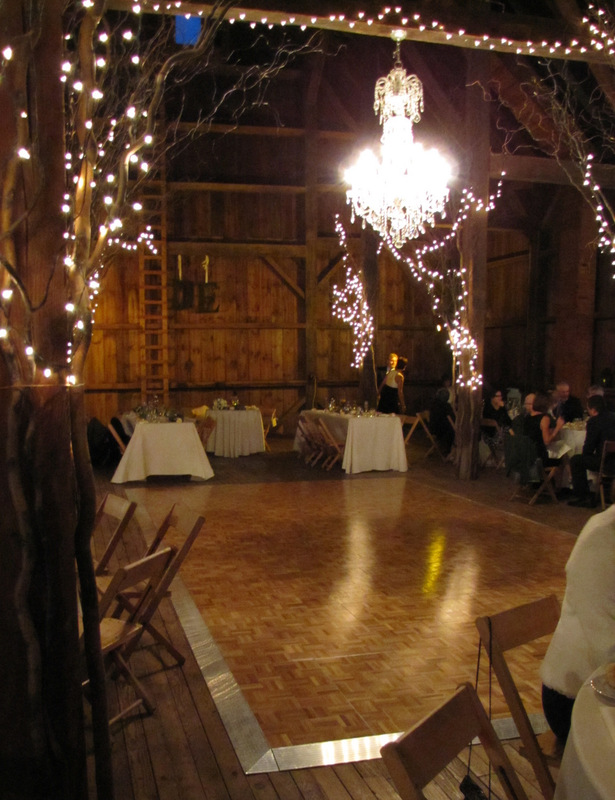 The dance floor was a big hit, with a giant chandelier that hung above it. Such a pretty event! It was so fun and different, a breath of fresh air! what an amazing place! 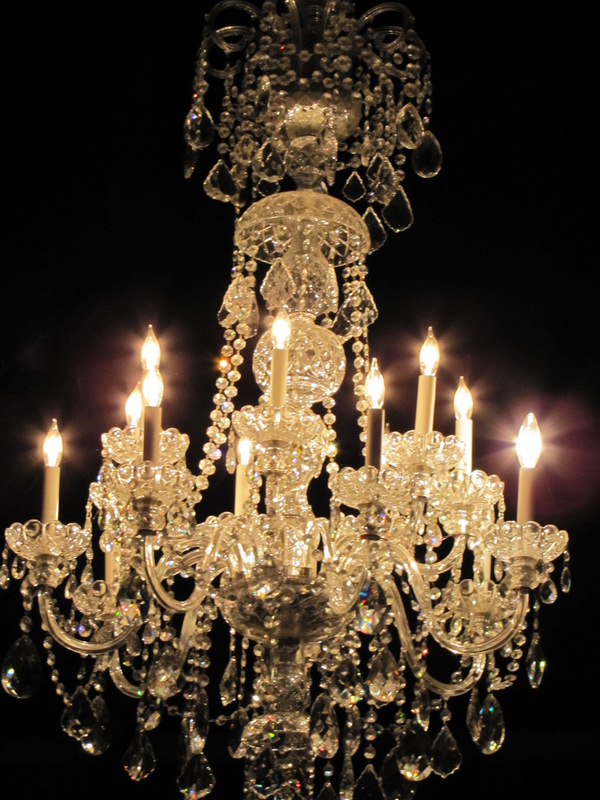 that chandelier is to die for! how fabulous!! 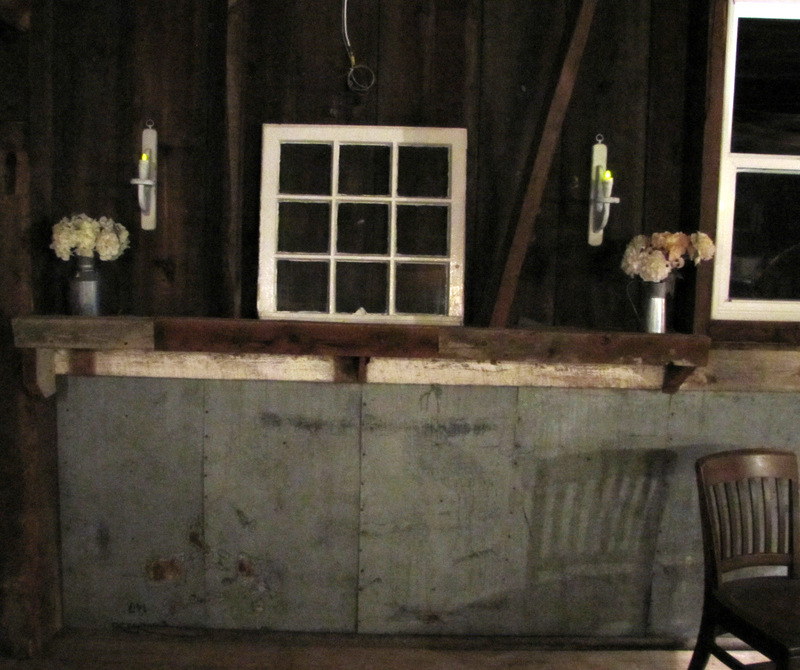 I love these barn weddings. It makes me want to do it all over again! Thanks for sharing! This is awesome!! 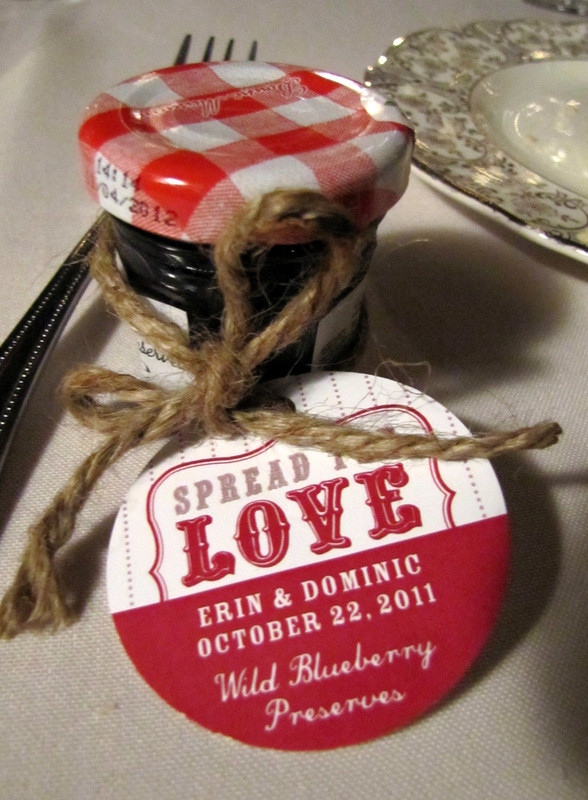 I love all the personal and rustic touches! 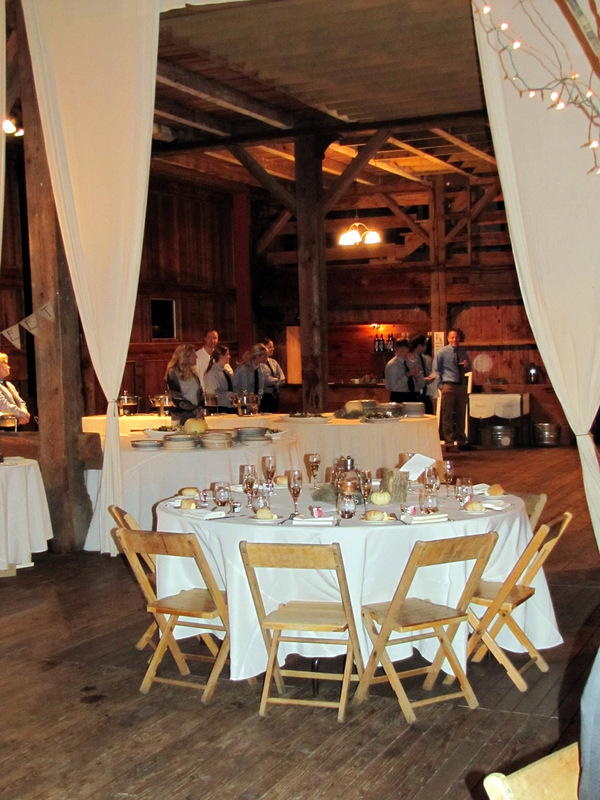 My son just get married in a farmhouse themed wedding, it was fabulous! It was so nice meeting you! So beautiful~ Congrat's to Dom & Erin!